Mike Rauch is co-creator of the Peabody Award-winning StoryCorps animated series, which critic Richard Corliss called “must-see, can’t-miss, your-life-depends-on-it TV” and New York Magazine called “highbrow, brilliant”. 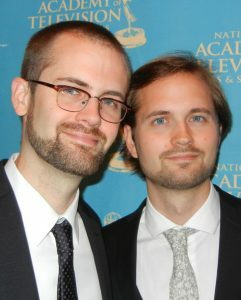 Working with his brother Tim, he has produced animation for clients including Nickelodeon, Warner Bros. Animation, and Sesame Workshop. Mike now works as a Current Series executive at Cartoon Network.